January 2016 saw the launch of Hilti’s magnificent new building in the Waterfall Logistics Precinct in Midrand coinciding with the company’s annual employee conference, the opening was attended by Hilti’s employees and partners from all around Africa. 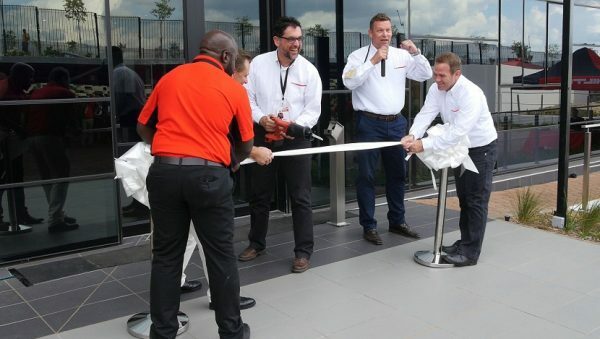 The new building has enabled Hilti South Africa to grow its Tool Service Centre, as the company’s reputation rests in part on its exceptionally fast tool repair turnaround time. “We are investing in our Tool Service Centre because we now have so many more tools in the market and we want to deliver on our turnaround time promise,” Dijkstra says. The new building also features a 600-m2 Training Centre. All employee training can now take place in the new premises – as well as the training of Hilti’s partners in neighbouring countries. The Training Centre will also be used to train customers on how to use Hilti tools.